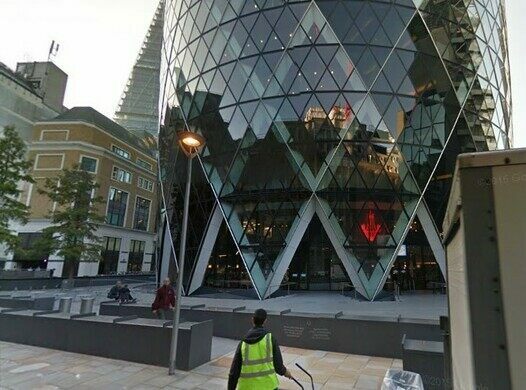 In 1992 a bomb exploded in the City of London along St. Mary Axe, destroying the Baltic Exchange, a historic trading center for the maritime markets. 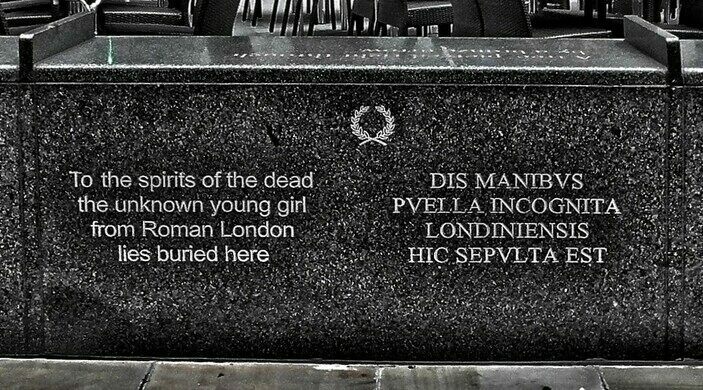 In 1995, as the site was being cleared for new construction, an archeological investigation discovered the remains of a young girl estimated to be 1,600 years old, from a time when the City of London was the Roman settlement of Londinium. For three more years, the girl waited patiently at the museum until April of 2007 when she was returned to her Londinium resting place. Rather than have her languish in a dusty storeroom, the developers of the Gherkin requested that she be reburied on site, and there was a service at St. Botolphs Church in Aldgate. A procession through the city streets followed, and a celebration with musicians approximating ancient Roman tunes. 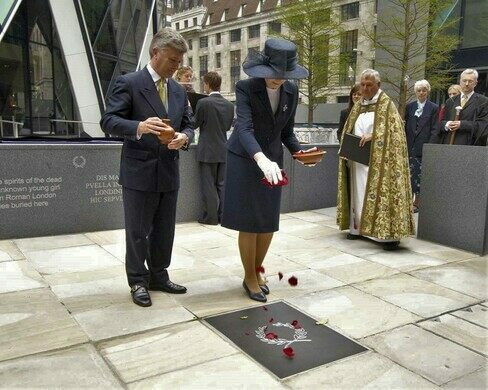 The Lord Mayoress of the City of London was there to spread rose petals on the gravesite, marked with a marble slab decorated with a laurel wreath. She was a teenager at the time she died, somewhere between 13 and 17 years old. With the benefit of carbon dating and identifying some sherds of pottery at the site, it’s estimated that she died sometime between 350 and 400 AD. There is no way to know who she was—whether she was Roman, a Briton, or someone from the empire’s fringes. But every day the workers in London’s financial district rush and hustle past one of the city’s earliest inhabitants, memorialized by some of the city’s latest. 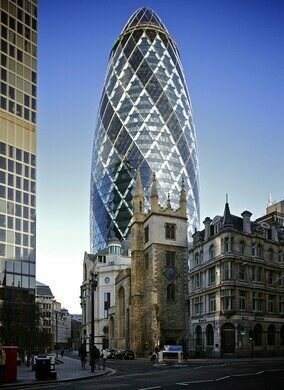 The Gherkin is in the City of London at #30 St. Mary Axe. 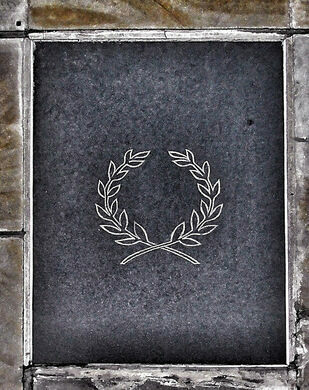 The memorial is on the Bury Street side of the building, along the stone bench/wall. The closest tube stations are Aldgate or Bank. St. Mary Axe is a curious name for a street, but it goes back to the medieval church that once anchored a parish there. The east end of the church is thought to have been marked by a sign of the axe. It's full name was St. Mary, St. Ursula and her 11,000 Virgins - but that's another story.